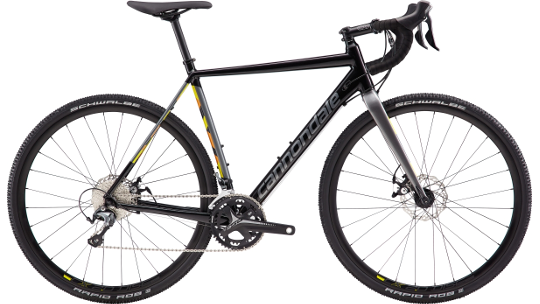 The Cannondale CAADX is renowned for providing on and off the road action at fantastic value for money. The CAADX is designed to take you on the path less travelled, with the ability to fit up to a 37c tyre that helps to provide traction, speed and protect you from the gravel. The CAADX range of bikes can be used for road cycling and serves brilliantly as a winter option for getting you through the mucky, wet months of the year thanks to cable-operated disc brakes that aren't dependent on "the best" riding conditions. This model from the Cannondale's range features a Shimano Tiagra 10-speed groupset that ensures reliable shifting as well as dependable parts. Finally, the blend of a lightweight aluminium frame and carbon fork ensures great lightweight handling throughout the year! Taking the inspiration for its geometry and fit from its big brother, the SuperX model, CAADX delivers incredible traction, stability and handling, making it a perfect choice for new SuperX owners. OutFront steering geometry is designed to make light of navigating technical cyclo-cross courses or bumpy streets, while still maintaining its quick-handling agility everywhere else. SmartForm C2 alloy construction and tube shapes inspired by the CAAD12 model contribute to the bike's lightness and make it easy to shoulder, while the addition of SPEED SAVE micro-suspension allows the rider to easily cut through rougher terrains. Subtle rack mounts, a removable seatstay fender mount and hidden fork fender mounts expand its usability without affecting its racy looks. 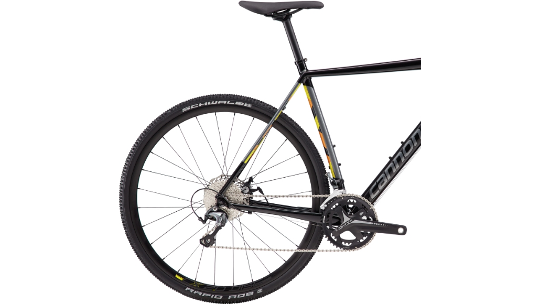 It's not equipped with Ai, but the CAADX still offers enviable clearance, with room to mount 37c tyres without sacrificing super-short chainstays, ideal for cyclo-cross - or anywhere.